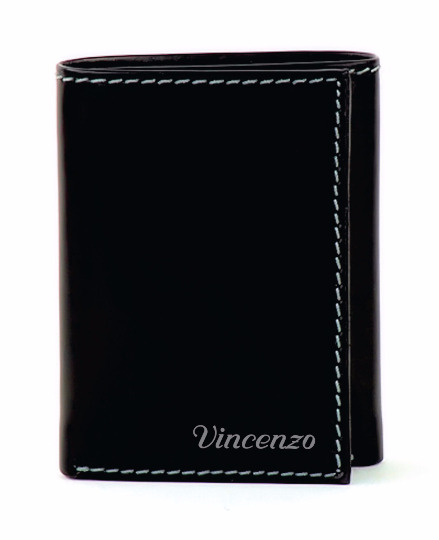 Personalized High Quality Men's Genuine leather Men's Trifold wallet. This smooth leather custom engraved wallet is a great gift for any occasion. A gift with a personal touch. 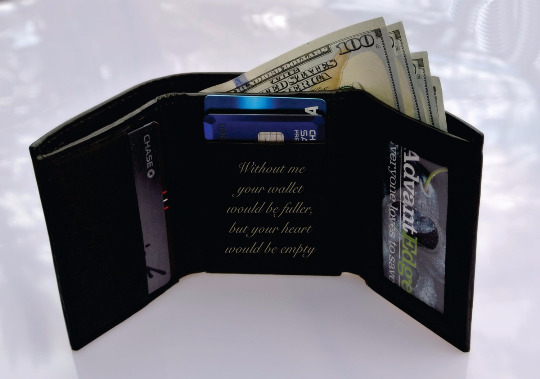 Our engraved wallet will keep your cash and cards secure while maintaining a classy look.